One good Douglas Adams quote deserves another. 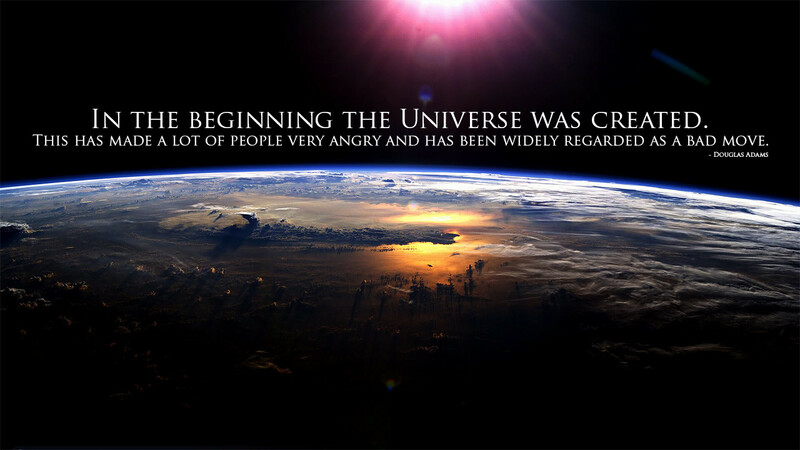 -Douglas Adams, The Hitchhiker’s Guide to the Galaxy. I have this watch from communist-era Czechoslovakia that I bought from an antique shop in the Jewish Quarter of Prague. It has no battery, relying instead on winding for its mechanical energy, and it runs fast to the tune of about one minute a day. I like it. I feel a connection to a different era, and one where time was much looser than it is today. In the early 2000’s, time became a fixed point for everyone with a cellphone, which these days is essentially everyone. People used to say, “Sorry, my clock is running five minutes slow,” and it seemed to be a reasonable excuse. Now, such a notion is laughable. If your phone displays the correct time to the very second, what’s your excuse? And now, even the slight difference in running time bothers me, so I find myself dutifully correcting my antique watch daily. 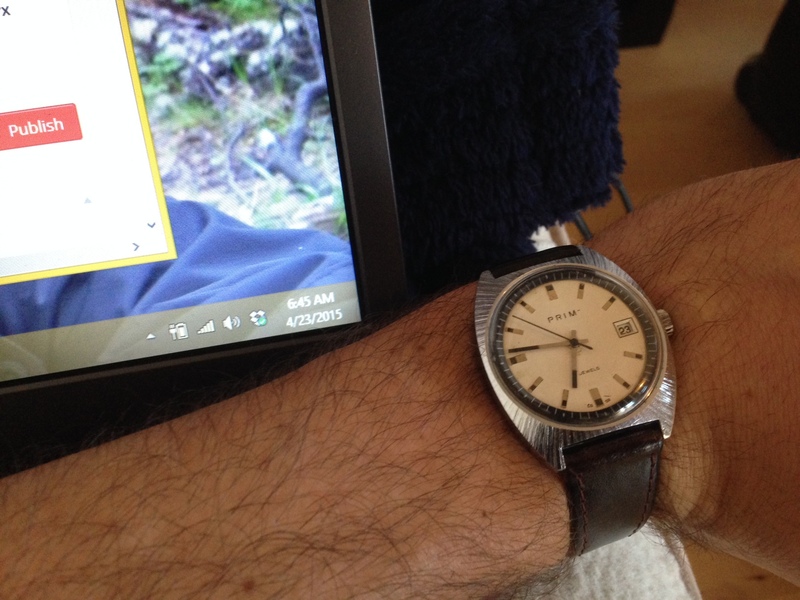 Even my Communist Bloc Era Czech watch is accurate by historical standards. Travel, specifically railroad travel, became the driver for a more standardized, accurate time throughout the 19th century. In today’s world, where you can have dinner in Seoul, and then lunch in Seattle on the same day, it’s difficult for us to imagine the transformative impact of the train. For all of human history and prehistory, the only time that mattered was local time. It was noon when the sun reached its highest point. If you were living in Chicago, it didn’t matter what the clocks said in New York, because people and information traveled only so fast as a person or a horse could carry it. If, at the beginning of the 19th century, you sent a letter by horseback, any real-time difference between the two cities was inconsequential compared to the days and weeks it would take to deliver it. Suddenly, when people and information could be carried long distance in a relatively short amount of time, local time became hugely important. Even short distances in England became difficult to manage, as a few minutes difference in local time could wreak havoc on train timetables. We have time zones (and uniform times within them) because of speedy travel and communication. As technology progressed, people began moving about at several hundred miles per hour, and information zipped across the world at the speed of light speed, accuracy of time became hugely important, and not just for keeping timetables. (Ironically, by setting time zones, we had to give up some local accuracy in order to ensure more widespread efficiency). Businesses can plan conference calls with clients on the other side of the world with to-the-second accuracy, so long as they remember to account for daylight savings time. At the same moment in human history that time was becoming standardized, we were beginning to realize that time was anything but. Einstein’s revolutionary idea that time is relative shouldn’t have come as such a shock. The only shocking thing about it is that time itself is relative, not just the way we perceive it. Relativistic time even affects our reliable cellphones, as the slight differences between the speeds and gravitational forces between us on Earth and our orbiting GPS satellites must be accounted for in order to give you the “correct” time in between posting pictures of cats on Facebook. We’ve all experienced days or weeks that drag on forever, and vacations that are over in the blink of an eye. Experiencing relative time is almost intuitive to the human condition. Time is relative. Especially with this watch. I love the notion that travel is the key to needing standardized, or even relativistic, time. Without travel, fast, important travel, time is meaningless. From the most relaxed backpacker, to the fast-paced businessman, being able to show up at the right time at the right place to travel is of the utmost importance. We no longer look at our sundials to pinpoint noon, but instead have that information digitally beamed to our handheld devices. All of this is wonderful to know, but how does it affect our daily lives? Before I started living abroad, I never thought about the way time differences between my old home(s) and new would affect me. I’ve become a man perpetually out of time, or as the title suggests, “In between days.” And unlike other aspects of culture shock, I’ve never really gotten over it. It’s always in the back of my mind somewhere, and social media only perpetuates this feeling of discomfort. By living abroad, I necessarily live my life in multiple time zones. I’m always thinking about life back home, how they’re resting (or in some cases, struggling with insomnia) when I first wake up, how they’re just starting their day when I’m getting off from work, and how they’re waiting for that clock to strike 5:00 when I’m crawling into bed. It’s a near constant thought circulating the depths of my subconsciousness. Social media can work to increase this feeling of being out of time. Awaiting replies, guesstimating when parents or friends will be available, and knowing some days are just impossible to communicate. Yes, I’d much rather be living abroad now than at any other time in history, but it still is difficult. A century ago, I could have written a letter, not needing to know what time it is there. In other words, it was much easier to immerse yourself in your time and place then than it is now. When I sleep evades my best efforts over restless nights, my thoughts inevitably turn to my family and friends in the States, or to my friends scattered throughout Asia, Africa, and Oceania. In some ways it’s nice, my Facebook and Twitter newsfeeds are always active. Technological advances are largely welcomed and beneficial. Globalization and ease of travel is making our planet smaller than ever. But a Skype call will never replace a family dinner, or drinks at your favorite pub with a few close friends. The more times change, the more they stay the same. Smart phones and Facebook might do an exceptional job at distracting us, but they’ll never be the sources of our true happiness, the kind of happiness you can only have when time melts away with your closest friends, lovers, and family. I keep my old communist watch close by as a reminder to myself. I’m reminded that time is relative, even if our cellphones tell us otherwise. I’m reminded that the best times are when time ceases to matter. I’m reminded that travel, which has necessitated this revolution in time keeping, is the best when you can set your own timetable, and break free from the bounds of social requirements, even for just a little bit.